The country’s Ministry of Agriculture predicts Chinese are likely to consume 100 million tonnes (mt) of meat in 2020, while the domestic meat production capacity would be only about 90mt . Such a shortage is encouraging meat companies to invest heavily in the country. US meat producer Hormel Foods, for example, recently started building a new production plant in Jiaxing, Zhejiang province, on the east coast, despite China’s slowing economy. 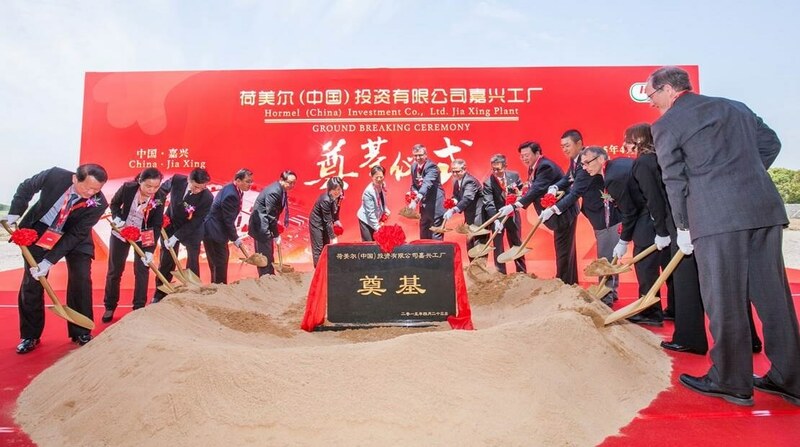 The US$350 million plant, which is expected to start operation by the end of 2016, will be the first Chinese plant to produce Hormel’s processed meat Spam, supplying retailers and foodservice outlets across China. Statement: Hormel Foods Responds to Supplier Video At Hormel Foods Corporation, animal welfare, employee safety and food safety are our top priorities. Perched for the season; Hormel picks winners of 9th annual Holiday Card Contest Hormel Foods announced the winners of the company’s annual Holiday Card Contest for children of active employees.